Huge 3D Monster Truck Jumper, Slide Combination Ride. 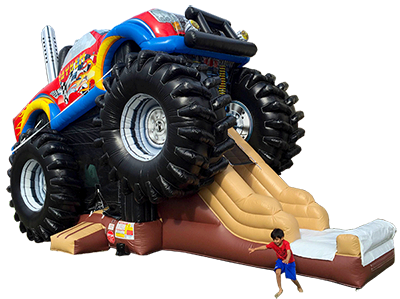 One of the largest inflatable combination rides available. 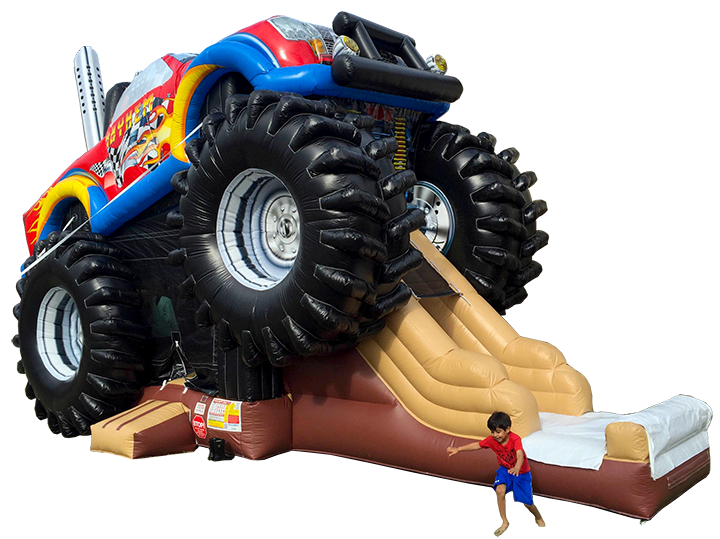 This inflatable Monster Truck will make your next party or event a huge success. This unique inflatable bounce house combo features a large bouncing area, a climb & slide. 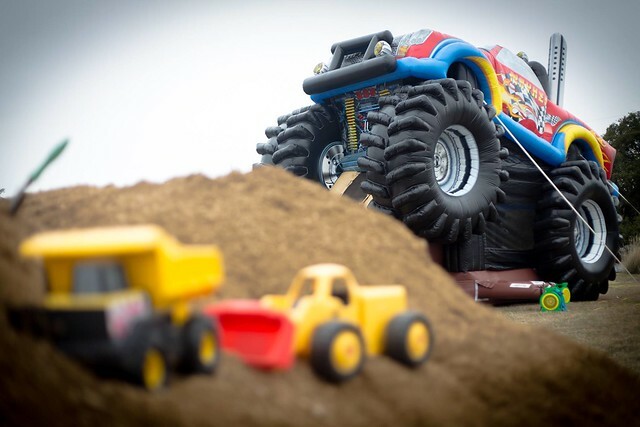 Great for auto dealer promotions and "Blaze and the Monster Machines" parties too! This item is NOT DISCOUNTABLE! Due to it's size, it requires two continuous blowers. Please ensure adequate power on two separate breakers is available within 100 feet of set-up area.